In honor of Randy Crisler’s return to the Arnold city council, I put some captions on the photo from the Leader PR release article on the council vote. Tell me which one you like best. At the council meeting at which Crisler was reappointed, council members Michelle Hohmeier and Ken Moss objected to the last-minute revealing of Crisler’s name, arguing that the public should have been informed and had a chance to weigh in. City attorney Bob Sweeney replied that there was no obligation for Mayor Ron Counts to seek public input. Of course, Counts has no obligation to wear a shirt to the meetings, but that doesn’t mean he shouldn’t do it. Also of note is that Crisler’s resume, as seen on page 20 of the council packet, was only sent to Counts on the morning of April 15, three days before he was appointed. Hohmeier asked some questions about the selection process, to which Counts responded rather testily, as he is wont to do (see the 19:30 mark on the April 18 video). I’m assuming the submission of the resume was a mere formality, and that Crisler was the choice all along. Strange also that the resume was sent to Counts’ business e-mail address. Shouldn’t he do city business via his city e-mail account? Interestingly, Counts said “there was a holdup [in the announcement of Crisler’s selection] to make sure all the qualifications were met” and “that’s why it came a little late;” he “wasn’t trying to hide it from anyone.” What kind of qualifications, you might ask? It couldn’t be that he had to establish residency, or reach the minimum age to serve on the council. 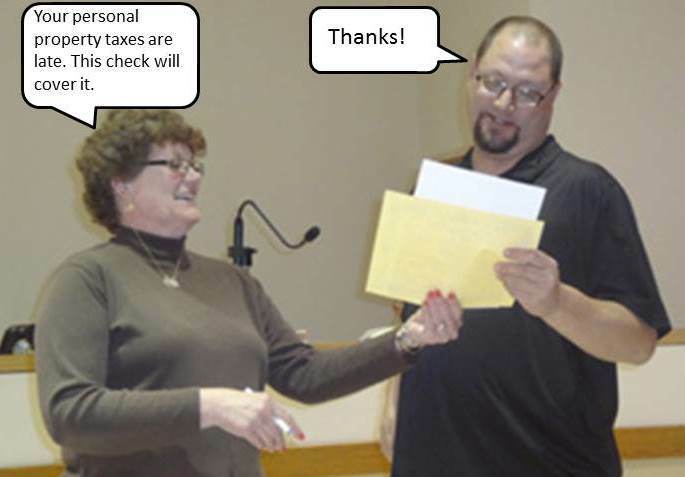 It must have been…paying his personal property tax (PPT)! 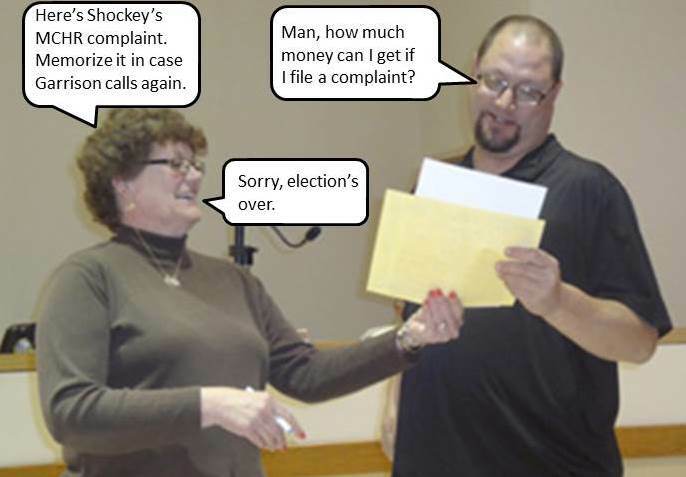 One would think, with the Shaun Missey ballot situation, that the Leader would have had a hook by which to mention the fact that Crisler only paid his PPT two days before being appointed. If that wasn’t enough, Counts gave the Leader another hook with the above statement. But, no dice. The Leader failed to mention this fact. There must be something in the paper’s style book that prohibits publishing an article that includes both the phrases “Randy Crisler” and “personal property tax.” His name should have come up during Arnold Ballotgate, but the Leader chose not to mention that it was OK in 2011, unlike 2013, to run for council despite being late on property taxes. Now we know that it is OK to be appointed to the council if you are late on PPT (at least, until someone tries to appoint a non-crony of Bob Sweeney to the council; then it will magically change).